Do ankle weights work? 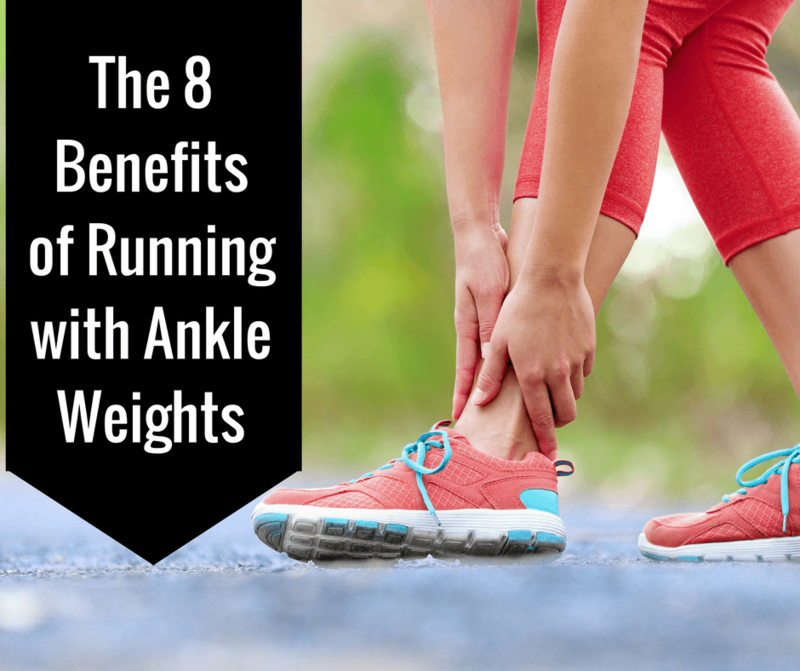 What are the benefits of running with ankle weights? Can I burn calories while running with ankle weights? Do they help me run faster? According to Wikipedia, ankle weights are weighted clothing fixed above the ankle, specifically around the Achilles' tendon and lower shin. These weights add weight to the ankle region making your muscles to work harder. This leads to the increased production of energy which in turn helps tone and shape your body. One of the advantages of using ankle weights over other types of weighted clothing is that they are not fixed on fat storage regions or major muscles. You can use them in almost any exercise without worrying about the effects of their tightness. So if you want to add strength to your workout, a pair of ankle weights is one of the options you have. It can deliver the benefits you want whether you want to use them while walking, jogging or running. Some of the benefits of running with ankle weights include helping your body burn more calories, boosting endurance, toning and shaping your thighs, toning and shaping your legs, helping you achieve stronger breathing muscles, among others. I detail out the 8 top benefits below. Based on the research findings that were published in the “Archives of Physical Medicine and Rehabilitation Journal,” running with ankle weights help your body to burn more calories. The study involved one group of participants who run on a treadmill while wearing ankle weights and another group whose participants run without these weights. The study concluded that ankle weights can be a good remedy for those who want to achieve greater weight loss and cardiovascular fitness. Another benefit of ankle weights that many fitness writers have discussed widely is their ability to boost endurance. According to Todd Maternowski﻿, any athlete who wants to gain an edge may turn to these weights to increase their endurance. He reveals that these weights add resistance to any speed drill. The added weight on the legs while running leads to higher energy expenditure, which in turn increases your heart and respiration rate. Raising both heart rate and respiratory rate during running have both short term and long term benefits. Short term benefits include your ability to push yourself for longer periods and thereby boosting your overall endurance. Running with ankle weights also tones and shapes the muscles around the thighs. One of the fundamental principles of weight loss and fitness is that when the body is subjected to additional stress, it finally adapts to the situation. According to fitness guru Michelle Matte, the added weight from ankle weights increases resistance around thigh regions. As you continue to move about while wearing your ankle weights, a training adaptation will be created in your thighs muscles. Subjecting your legs to various forms of exercise can improve your range of motion, as well as your flexibility. Running with ankle weights can, therefore, help you achieve optimal toning. Just like thigh muscles, the weight from these weights makes various muscles in the legs to develop resistance. The American College of Sports Medicine revealed some of the mistakes many people, especially women do while performing weight loss or fitness exercises. They reported that many of them lean towards repetitions more than weights. They, therefore, advise against repetitions because they don’t make muscles to fatigue. They also advise people not to focus on the number of sets, the number of repetitions or the amount of weight at first. They say that these factors come in later and advise people to focus on learning and performing proper exercise technique. That said, people need to introduce ankle weights when running to help them tone and shape their legs without any hassle. Many weight loss and fitness experts will encourage you to try several exercises if you want to get maximum benefits. You can also get these benefits by using one equipment or device to perform the same exercise in different positions. However, not all weight loss and fitness devices on the market can perform the same exercise in different positions. Some of these devices have only one way of using them such as push, pull, stand on or sit on. This is not true with ankle weights which you can use to do the same exercises in different positions. You can use them while running, jogging, seated, climbing, riding or walking but still get the benefits that you want. If you are suffering from asthma or other respiratory related diseases, According to the University of Maryland, ankle weights can help you overcome these health conditions. However, you need to rest them on your chest while running rather than attaching them on the ankle. The added weight on the chest region increases both the respiratory rate and heart rate. These are the two factors that play an important role as far as breathing is concerned. They also work by strengthening your breathing muscles making them more efficient. Just go ahead and use these weights while performing any breathing workout your health care professional recommended. Don’t forget to consult your doctor to make sure you are the best candidate for weighted breathing. If your weight loss and fitness routine involve workouts for the abdomen, running with ankle weights can help you achieve optimum benefits with such workouts. This is possible because the weight added also targets the lower abdominal. You will need to wear these weights while running on a treadmill, performing knee-to-chest exercises, reverse abdominal lifts or bicycle exercises. When these weights are used with any of these exercises, they maintain your pelvic tilt and keep your abdominal muscles contracted. On your days off from running, water exercises are a great way to keep your body loose. Besides abdominal workouts, ankle weights can help improve your water workouts. For instance, swimming is capable of working out your muscle groups and improving your cardiovascular muscles. You depend on your muscle groups so attaching these weights can increase the weight resistance you must overcome in order to float on water and navigate forward. Their working mechanism is straightforward. Every time you kick your feet and legs, the force coming from your body move the additional weight. You are able to burn more calories because your muscles are strained by the added weight on the ankle. They are becoming more and more popular and many swimmers use them to enhance their skills. The big advantage of using these is that they do not cause any damage to joints or any other issues for that matter. The use of ankle weights to bring about the benefits that we have outlined above comes with some costs. If your legs are too weak, attaching these weights can possibly lead to the ankle injury as well as create muscle strain. To avoid these negative side effects, you need to put the following precautions in mind. Avoid using ankle weights if you have existing joint pain, you are overweight or underweight. Your tendons, joints, and muscles need rest in order to recover. 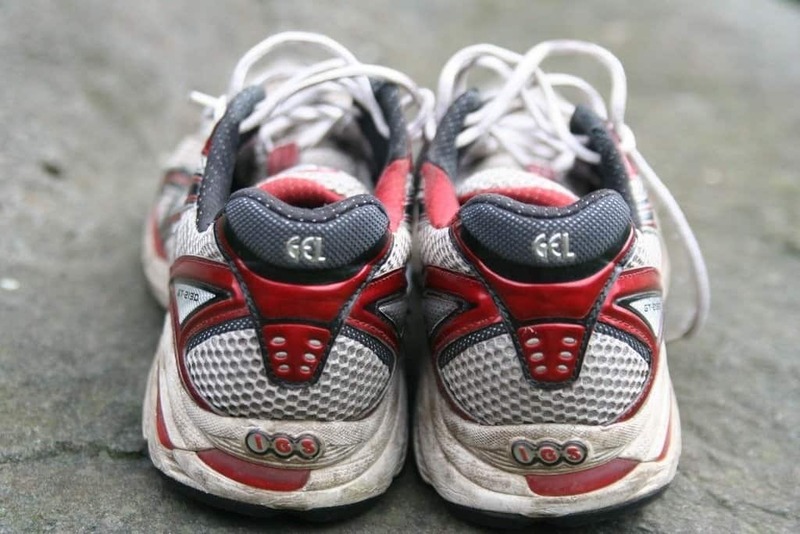 If you have to use them, a safer way is to avoid running or doing any intense activity. Perform the running slowly while you are wearing ankle weights. Moving too quickly may cause knee, ankle or back injuries. Also, avoid swinging sideways while you are in motion. Even if you are not overweight, underweight or don't have joint problems, avoid ankle weights while carrying out certain activities. Dr. Anthony Luke, who is board certified in primary care for sports medicine told Los Angeles Times that ankle weights can cause a serious accident if one wears when cycling and they happen to get caught in the chain. This video explains in detail some of the exercises you can perform while wearing your ankle weights. 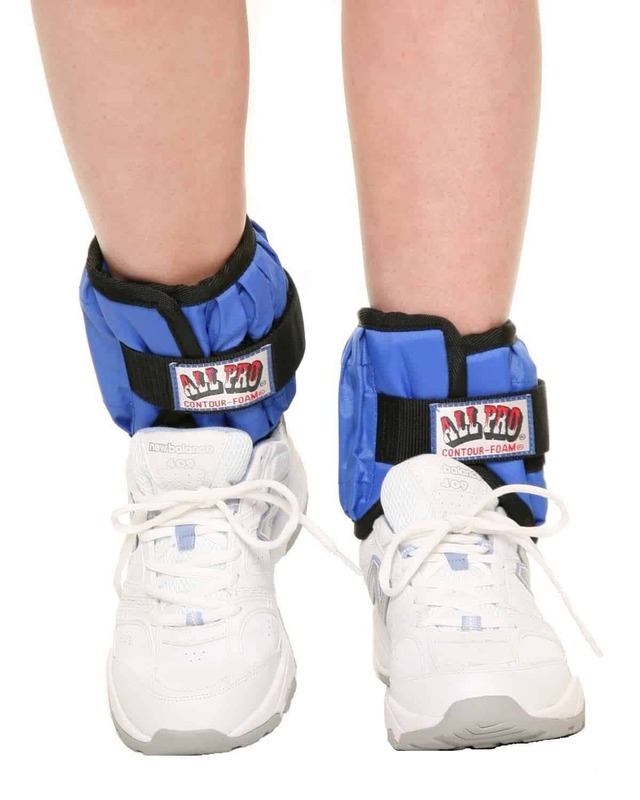 Ankle weights are available for sale in many online retail stores such as Amazon. Depending on the style, the reviews range from really great to not-so-good for some of the ankle weights﻿. AIl images courtesy of Amazon﻿.